The new plug-in Scan2PS for Adobe® Photoshop® software is particularly suitable for the art sector, but also for any applications that involve image editing. The plugin exports and saves the scanned images either as a JPEG or TIFF file directly into the program. This saves an enormous amount of time and guarantees a high document throughput. Images can be scanned at resolutions up to 600 optical dpi, to produce digital images of the highest quality and with color accuracy. 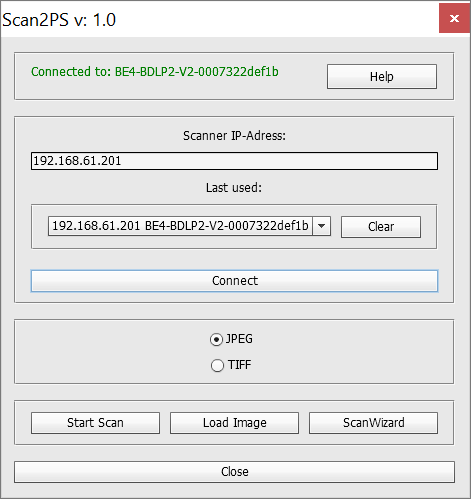 Scan2PS takes advantage of the extensive capabilities of Scan2Net® scanners; including automatic size detection, crop and deskew, image splitting, color management and outputs in color, grayscale and black and white; to name just a few of the standard functions and features. It complements and extends the patented Scan2Net® technology that powers all Image Access scanners. The plug-in can be used on Adobe Photoshop software versions off CS6 and the Creative Cloud® and is available for customers to download free of charge in the Customer Service Portal. There you will also find a short installation instruction, which we recommend you read before installing.